On June 12, 2010, more than 200 runners and walkers gathered on a humid Northern Virginia morning for a 5K. The event, put together in just a few months by a group of dedicated volunteers, was a chance for those struggling with the sudden loss of their family member, their friend, and their colleague, to remember Courtney's life and celebrate her love of running. Over the years, while some things have changed (we quickly learned April is a much better month than June for a race! ), what has stayed the same is your remarkable support of this special day. We are constantly astounded by your generosity and by the dedication of those who show up year after year after year. 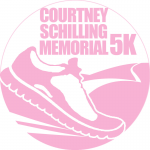 It is thus with a full heart we share that this year's race, the 10th Annual Courtney Schilling Memorial 5K, will be the last. We don't see this as an ending -- we will find a way to continue to memorialize Courtney's life and support the causes the race benefits. But this year we plan to go out on top and make this race the biggest and best one yet. We hope you can join us on April 27 to celebrate a decade of running! The 5K run/walk committee is grateful to all of our generous donors since the race started in 2010. Proceeds from the race go to Forest Edge Elementary School PTA to support special education initiatives, and to the Courtney Schilling Memorial Fund, which provides scholarships for college-bound seniors on the Herndon High School track team. We are especially thankful for race sponsors ($100+ donation). Sponsors receive recognition on the race t-shirt and on race morning. If you would like to sponsor this year's race please email Yolanda Maldonado at yolamal3@gmail.com. 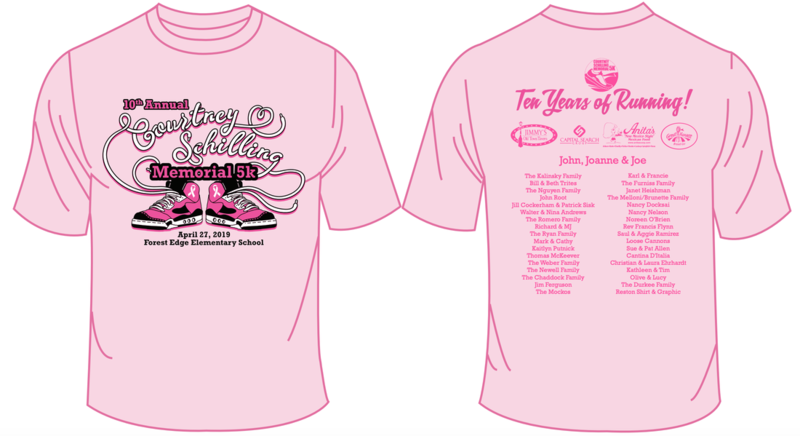 Please note that to receive recognition on the race t-shirt, all sponsors must donate by April 3, 2019. Contributions are tax-deductible to the extent allowed by the law. Thank you Jacqui Depas Photography for the 2018 Race Photos!